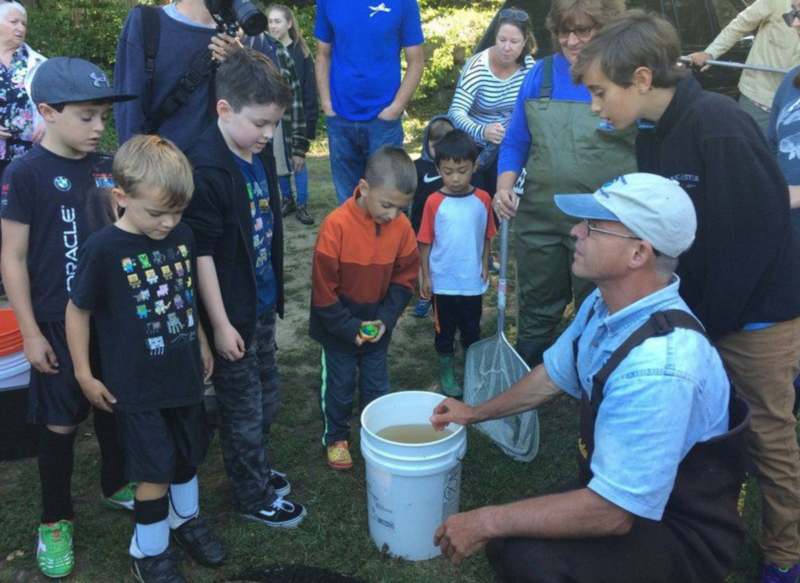 Rockport: Turtles, eels, fish relocated was written by Staff Writer Abigail Bliss and featured in the September 11, 2017 issue of Gloucester Daily Times Newspaper. 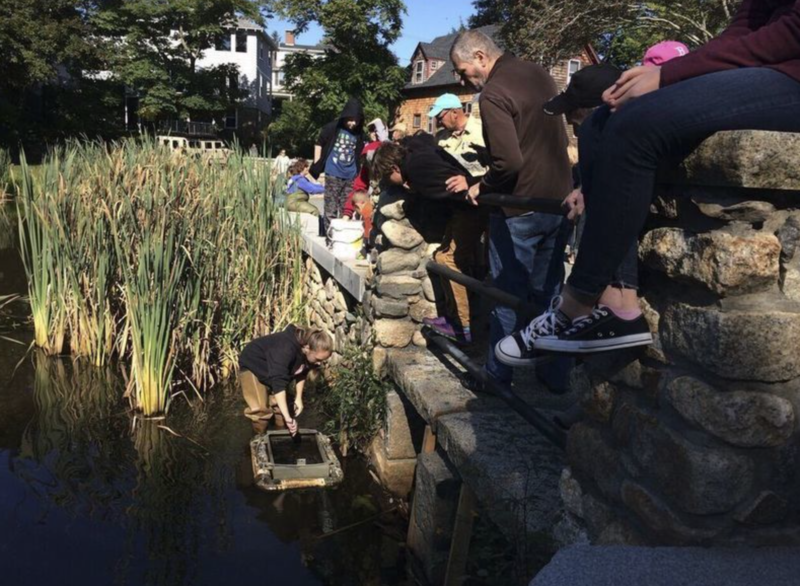 ROCKPORT — Curious neighbors flocked to Millbrook Pond this weekend to witness the relocation of the pond’s eels, fish and turtles in anticipation of its potential dredging next month. 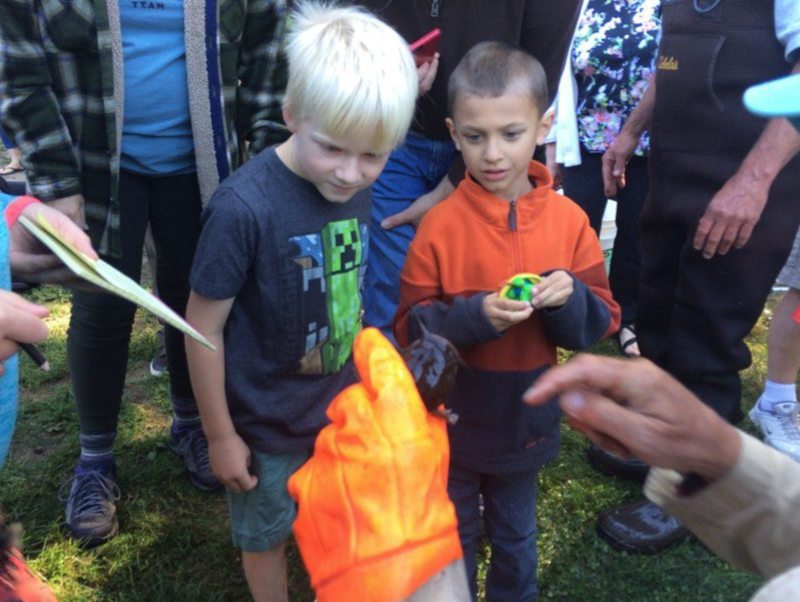 The Millbrook Meadow Committee and the Rockport Department of Public Works hope to have a final contract in place for selectmen to approve at their meeting Sept. 19. The dredging would be done from October to December of this year. 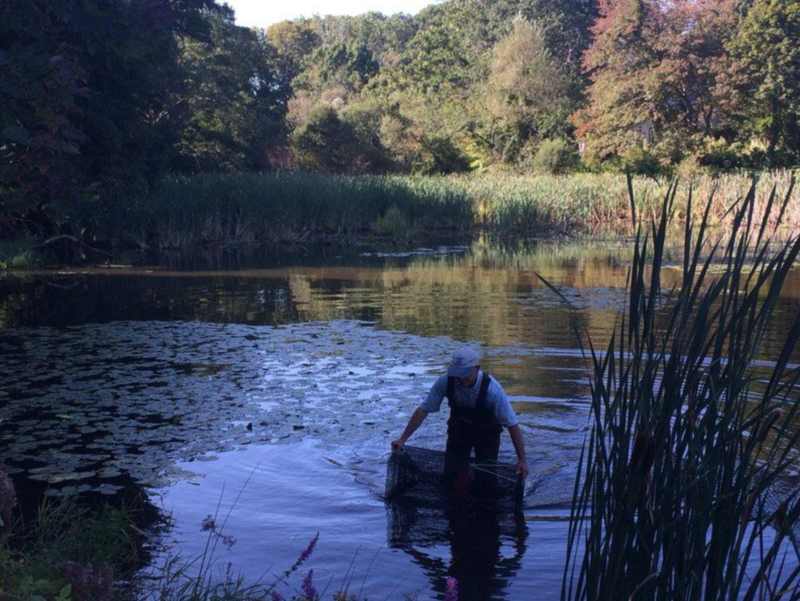 Eric Hutchins, a NOAA Fisheries restoration biologist, and Rick Roth, executive director of Cape Ann Vernal Pond Team, led the charge Saturday in moving the wildlife upstream to the significantly larger Loop Pond. 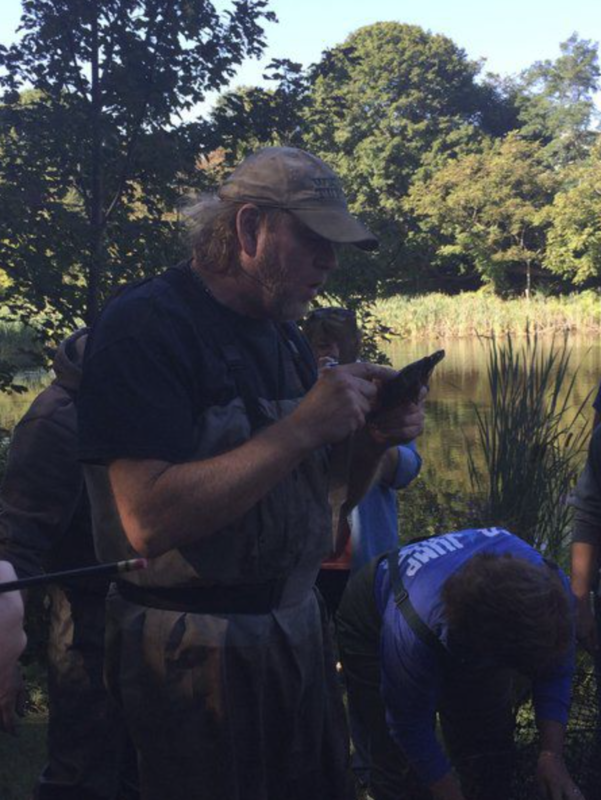 Members of the crowd craned their necks to see the experts retrieve traps from the water, took turns holding turtles, and snapped pictures of the baby eels in their bucket. “They’re ecologically important,” he added, rattling off a long list of animals that rely on eels as food, including osprey, otters, and herons. As for the turtles, each time Roth lifted one from a net, he held it out for onlookers to see, calling out its species and size before using a file to create notches in the turtle’s shell for tracking. Two Boy Scouts at his side hurriedly took down the measurement. By recording the species, length, and number of each animal for Hutchins and Roth, the Scouts get one step closer to earning their World Conservation Award. 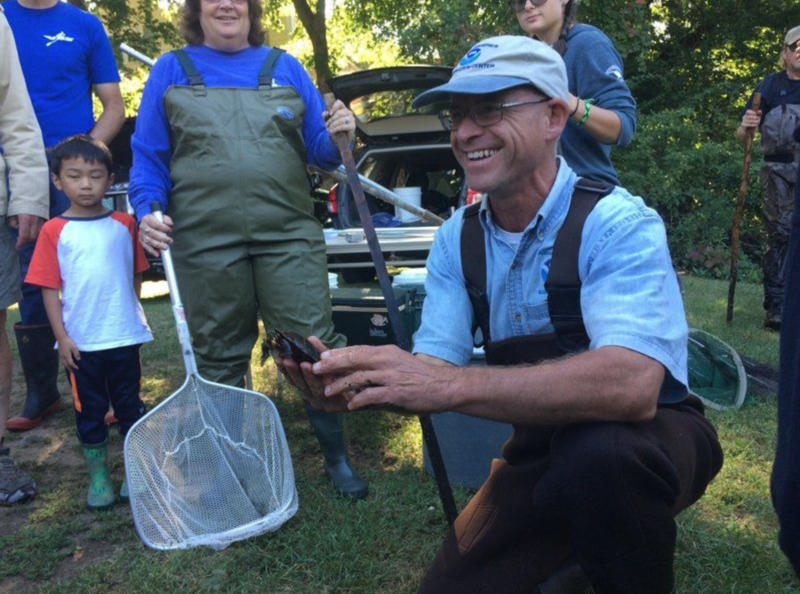 Curtis Sarkin of Kestrel Education Adventures helped with opportunities for the public to observe, touch, or hold the growing number of turtles, and eels, as well as a catfish. “Because the pond is being dredged, the wildlife would be threatened with being destroyed in the process. By relocating them, we’re providing them with a different habitat, where they’ll be safe during the process,” he said. Until recently, a lack of money threatened to delay the dredging until 2018. Parisi is working through the final details of a contract with SumCo Eco-Contracting of Salem, and will present it to selectmen for approval on Sept. 19. If approved, the project will remove 5,000 square feet of cattails, mainly on the western side of the pond, as well as dredge the pond's sediments. "We hope that this will really help with slowing down the growth of the cattails, but also make a better ecosystem for the wildlife — the turtles and fish — that are in the pond, as well," Parisi said.